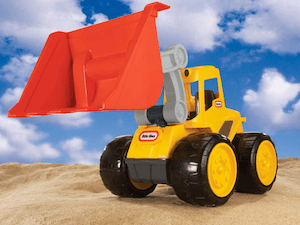 Kids can use the front loader to push dirt around their construction site. Plus, they can remove the scoop and use it as a shovel. Batteries not required. For ages 3 and up.